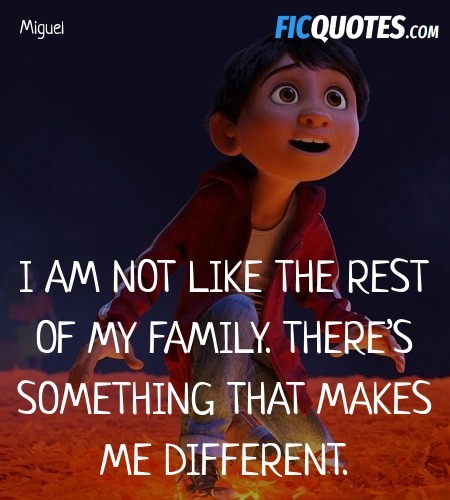 I am not like the rest of my family. There’s something that makes me different. Ernesto de la Cruz: I have to sing. It's not just IN me... It IS Me. I know, I’m not supposed to love music. But my great-grandma Coco’s father was the greatest musician of all time, Ernesto de la Cruz. One day he left with his guitar and never returned, now my family thinks music is a curse. Abuelita: Miguel, eat your food. Here, have some more. Abuelita: Now, that is what I thought you said.